Home: Learn Powerful Tools to Improve your Life - ABC a Better Me! Learn Empowering Tools to Improve your Life. It's as easy as ABC! ABC, A Better Me brings you information and products that Teach Simple Skills to Increase Emotional Intelligence (EQ), Resiliency, Happiness, and Success. 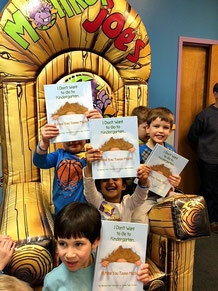 Everybody Wins with simply better books written by school counselor, Maureen King. Although the challenge in this story involves starting kindergarten, we can all relate to emotions experienced prior to any life change such as moving, starting high school, joining a team, etc. Learn a skill that kids and adults will find useful in ANY difficult situation. ABC, A Better Me provides information to help you, and those you care about most! 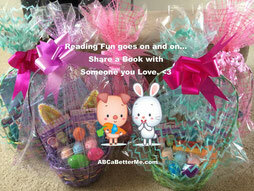 Featuring Fun Books for Kids and Great Tips for Parents and Educators. You will also find videos, a blog, FREE downloads, and more. 1. SMILE! It creates endorphins (chemicals in your brain) that help you feel better! The simple act of smiling lowers stress hormones and makes you feel better. 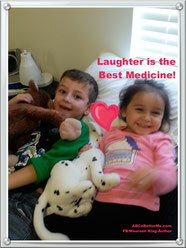 Laughter and Smiles are contagious… so why not share yours today? It's a Win-Win! 2. 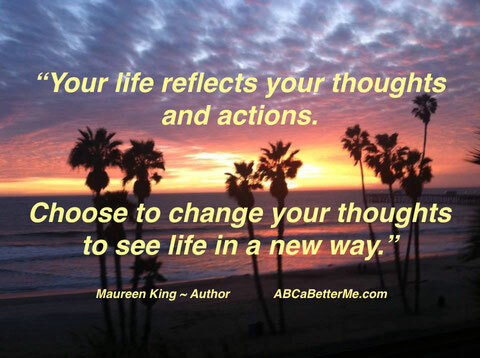 Choose to CHANGE YOUR THOUGHTS! Can children learn to change their thoughts? Absolutely! Positive thoughts create chemicals in the brain that the entire body responds to. This allows for happiness, health, and better decision making. Every child deserves the gift of the Super Power taught in I Don't Want to Go to Kindergarten...I'll Miss You Toooo Much! Teach children of All Ages to change their thoughts with the first book in "Mrs. King's Toolbox Series". Power-Up! I love sharing pictures of my readers enjoying I Don't Want to Go to Kindergarten...I'll Miss You Toooo Much! These lucky kids were looking forward to Kindergarten. The birthday boy's mom bought books for all 5 kids at her son's 5th birthday party. She gave them a gift that will last forever. Now they can all enjoy Powering-Up! Watch this PBS Kids video showing a simple technique using journal writing to help kids deal with feelings. 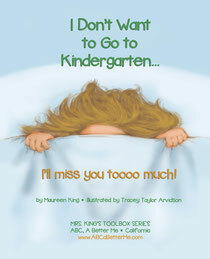 ~ Don't forget to also check-out my Resources and I Don't Want to Go to Kindergarten pages.